So I was exploring the 100-Yen Store near Torii, on a hunt for red felt for a Christmas project when I was magically pulled into the stationary/paper good section. (Brandon can attest that I just cannot walk by that section in any 100-Yen Store.) Look at the goodie I found this trip! 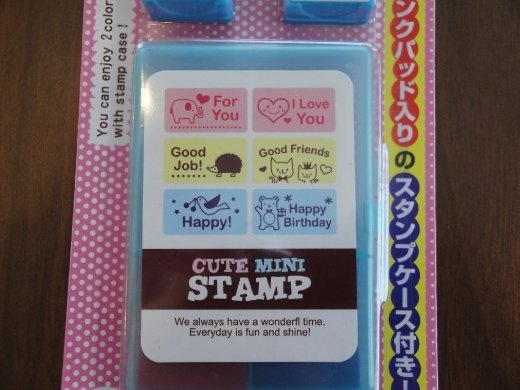 Talk about an adorable stamp set! Right down to the misspelled English, "We always have a wonderfl time." 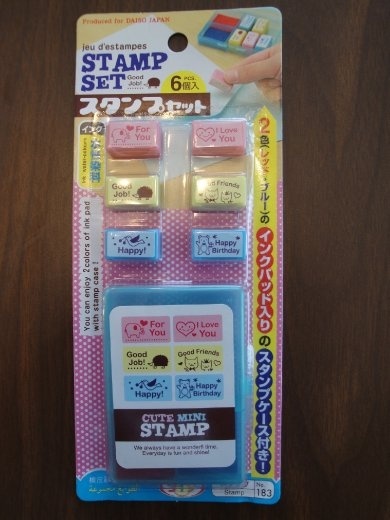 And I can tell you I just couldn't pass up a stamp set that assured me that, "Every day is fun and shine!" Today I made 41 envelopes for the greeting cards I make. 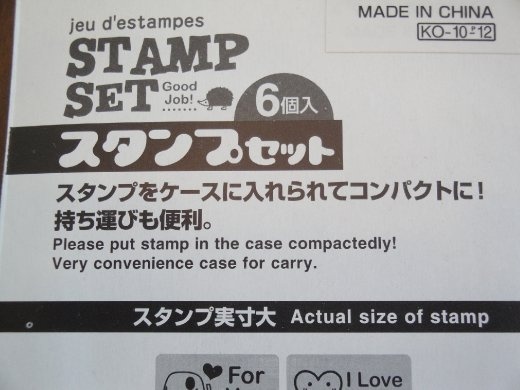 These tiny stamps will be perfect to spice up the back flap, don't you think! (Especially the stamp that simply states, "Happy!") 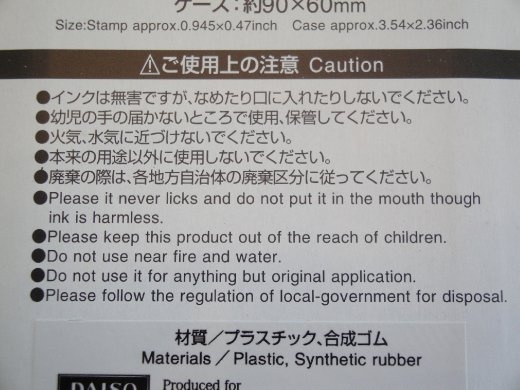 I sure do love Japan!